How does it work to live in Belize half the year and Vancouver, Canada the other half? Will I feel like I have a home? Can we afford it? Will my friends still be my friends when I return to Canada each spring? What about my health care? These are some of the questions that I have asked myself in the past couple of years, and I think they touch on concerns that others have felt in considering the amazing option of keeping an address in North America and also having a home in a sunny, warm place like Belize. So what is the biggest challenge? For me it is having a community; a sense of place. Friends, places I enjoy visiting, exercise classes, social events. How does one find a new community? I am finding it is coming through classes, helping out, and being open and friendly to those who cross my path. 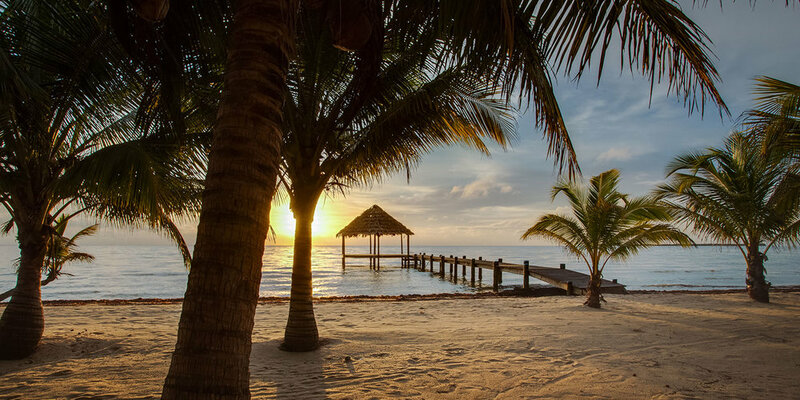 One contributing benefit that is unique to southern climates, especially to a country like Belize which is immediately friendly and open, is that when you are not busy, busy, busy you have room in your life for new people and experiences. I think being brave about putting yourself ‘out there’ is very helpful in a new living situation. Last winter in Placencia, I met a woman who seemed like someone I wanted to be friends with. I decided to go out of my comfort zone and ‘Facebook’ her and tell her the truth; I would like to be her friend! (not just a Facebook friend!) Could I invite myself over to her house for tea? She replied ‘of course’! We hit it off great and I look forward to getting to know her better this winter. That might seem a bit extreme for some people, but just showing you are interested in making new friends will attract people to you. Across from our Amik Kil Ha' development is the Maya Beach Bistro & pier. There are many logistical and financial questions about having two homes, but for my husband and I it boils down to priorities. If we choose to live a simpler life, we can stretch our retirement budget and make it happen. One thing we have found is that I spend a lot less money here in Placencia than back in Canada. We eat out less, we buy less, we are outside more, we read more books, we exercise more, and most importantly, consume less. We spend six months of the year in Vancouver, Canada. Life there is very expensive and there are always many, many things and events to spend your money on. New restaurants, awesome bakeries and cafes, movies, household items, clothing, and al those things that tempt us to spend money on are just not present in a small village in southern Belize. The Bamboo House that we are building @ Amik Kil Ha'. We have found that our life long relationships back in Canada are still life long relationships and our new friendships in Belize are strengthening. We are loving the adventure of having two homes and the relative simplicity of life in friendly Belize.